Summer reading programs are wrapping up and school is about to begin! 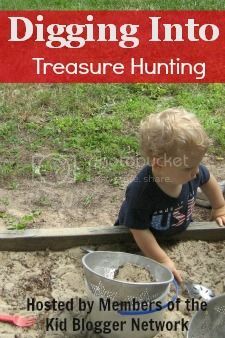 Today we are participating in the last installment of the “Dig Into Reading” series with “Digging Into Treasure Hunting” hosted by members of the Kids Blogger Network. So, what book did we decide to feature? 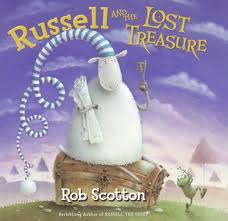 We chose Russell and the Lost Treasure by Rob Scotton. Russell the sheep receives a treasure map and sets off on an adventure to find the loot. Upon his discovery, he is initially disappointed with the bounty. However, an old camera in the chest does capture his interest and he sets off on creating his own treasure with this find. My son already had the book Russell the Sheep so he was excited to see what Russell was up to next. We have read the book countless times since checking it out from the library. 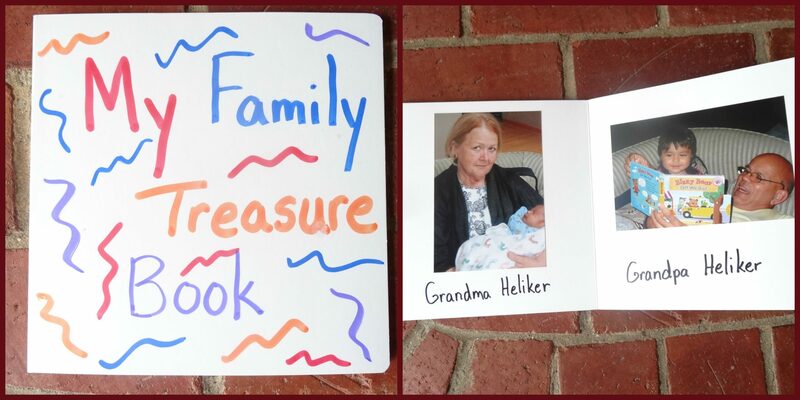 This book lends itself beautifully to creating your own family treasure book! We choose a blank board book from Bare Books. Next, we took pictures of our family members and placed them in the book. Finally, we were ready to label each picture. My boys love to look at books with photographs. This one is even more special because they know everyone in the pictures! Making books with kids is a great way for kids to practice their writing and creativity skills. Please check out the other treasure hunting books with the links below. And, if you have one of your own, please link up! *See the linky directory at the bottom of the page to see where this post has been linked. Aw…there’s another Russell the Sheep book! We like the sleeping one, so we’ll have to check this one out, too. 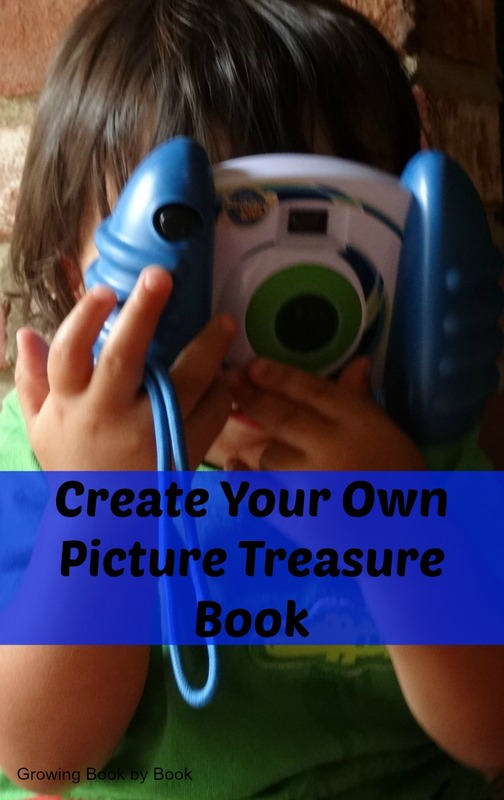 I love the idea of making a treasure book. Jessica, there is also Russell’s Christmas Magic! Cute idea! We loved book-based activities and units. Love the idea of using photography to create a family treasure book, one that has the potential to become more valuable over time! Thanks Barbara! We’ve already read the book so many times!